The American and Canadian Associations of Orthodontists recommend a first visit with the orthodontist by age 7. Unlike adults, children are still growing and therefore if major problems exist with the development of their teeth and jaws, we have a better chance at improving or even fixing them before all the adult teeth come in and before growth is complete. Besides the clinical benefits, early treatment can also help improve your child’s self-esteem if the position of their teeth and jaws is keeping them from smiling and makes them feel embarrassed about their appearance (ex: buck teeth, snaggle tooth, big space between the front teeth). 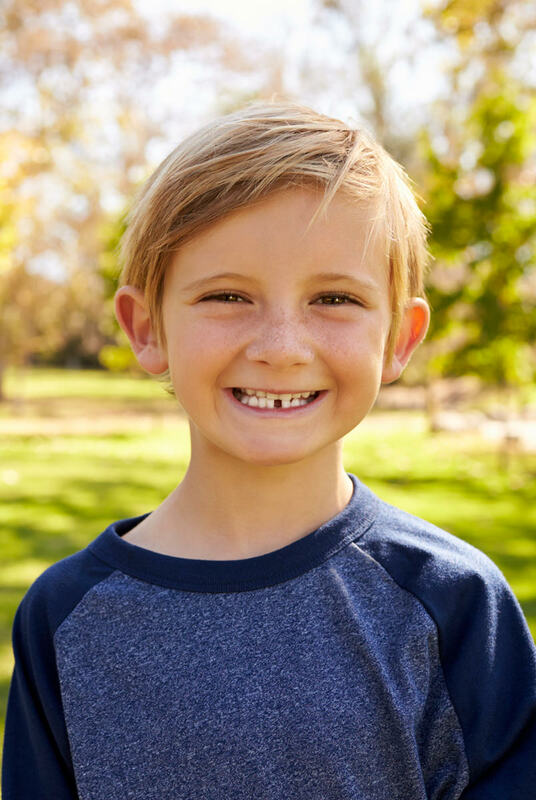 If social factors aren’t a concern, Dr. Cheretakis may decide that an early treatment (or Phase 1 treatment) is merited in order to help your child’s jaws grow more favorably and improve their facial profile, or to help prevent serious crowding of the permanent teeth. ‘Click here’ to learn why an orthodontist has the specialized training needed to best diagnose these issues early on. This type of early treatment usually lasts about 1 year, and when it is completed, Dr. Cheretakis continues to closely monitor your child’s teeth and jaw development until all of the adult teeth have erupted in the mouth. At this point, we determine whether any additional intervention (Phase 2 treatment) with braces or Invisalign is necessary to finalize the position of the teeth and jaws. Very often, an early Phase 1 treatment lessens the complexity or even negates the need for a Phase 2 treatment with braces or Invisalign later on. In some cases, it may even reduce the need for future tooth extractions or even jaw surgery. Early loss of baby teeth due to crowding or cavities. An anterior crossbite, where the bottom front teeth are in front of the upper front teeth. This is also known as an underbite. Regardless of how your child’s teeth look, the American and Canadian Associations of Orthodontists recommend that they see the orthodontist around age 7. Very likely, Dr. Cheretakis will tell you that everything is normal and continue to monitor your child every 6 months or annually until all their adult teeth are in. These growth and developments monitoring visits are always complementary. Better to be safe than sorry, so book your consultation today. We provide modern orthodontic care and aim to make every appointment fun and educational. Please call us if you have any questions, or schedule a consultation for a one-on-one meeting with Dr. Cheretakis to discuss your needs and concerns and find out which treatment is right for you. Our goal is to provide personalized care and to always strive to make our office one that our valued patients could visit with enthusiasm and peace of mind. * Early morning and late afternoon appointments always available. © 2019 Rockland Othodontiste. Website by W.I.G. Design inc.